Corporate Social Responsibility, like many fledgeling professions, is striving for legitimacy. Like innovation, marcomms and HR before it, CSR needs to justify its existence in constrained times and stake a claim to strategic rigour. 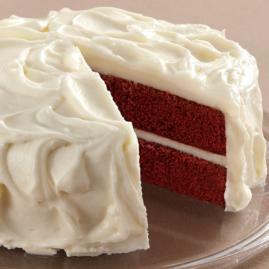 In the words of 100%Open Associate Kim Van Niekerk, it’s time for CSR to be the cake not just the icing. The problem is, how do you measure the effect of allowing staff to spend time working for charities like GSK does, or of consulting for city improvements like IBM? Why spend money on good works when you could be investing in growth projects? In fact, major donors are increasingly looking for proof of effect. They’re looking to leave legacies. As a result it’s becoming more and more difficult to get unrestricted giving. This dilemma is compounded in a networked world where cynical views prevail amongst the public and far from being humbly accepting, people can and do probe the motivations of corporate charity. The corporate fig leaf is shrinking – no amount of CSR saved Enron from total disgrace for example. Supporting good causes to divert the public gaze has become a shallow and devalued strategy. So how can we reinvent CSR for a more open and networked world? 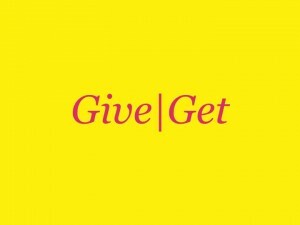 One of the principles that we’ve seen grow from our open innovation work at 100%Open is Give|Get. Open innovation is not an act of charity, it’s a balanced transaction, although often between unequal partners. We have found that open innovation works best where there is perfect transparency of motivations between parties. In our work helping Orange create their Do Some Good app, for example, the deal was clear. Orange offers its customers a new service and participating charities in the micro-volunteering app get thousands of volunteering actions for their cause. Other examples of such ‘adult to adult’ CSR transactions are starting to appear such as Legal and General commissioning charities to come new services to complement constrained R&D budgets. Organisations like Arts & Business and the Charities Aid Foundation are striving to develop longer term relationships with charities. In our recent Innovations in Giving programme with Nesta we mentored 28 top UK charities in how to develop a partnership approach to innovation. It became clear that whilst some charities aren’t yet set up to be natural collaborators, most have a wellspring of capabilities to offer business ‘customers’. Many third sector organisations are expert at CRM, communications, campaigning, social entrepreneurship, innovation and living up to their values. These are all skills that businesses need and are willing to pay for, in addition to any feel-good brand associations there might be in working with an Oxfam, NSPCC or CRUK. Many CSR officers hail from the HR profession or from Third Sector organisations and it is from these specialised perspectives that programmes are often played out. Perhaps if there were more mainstream business people running CSR programmes their tenor would change. Perhaps if organisations like 100%Open encouraged our business and charity clients to collaborate around new and interesting open innovation business models we could make a contribution to a new Open CSR. In fact we’re thinking of running a Jam workshop or conference around this theme called The Bridge. If anyone’s interested in this idea please get in touch with kim@100open.com. Interesting thoughts, and I’d agree that measurement of social impact in any field, including that of CSR, is a really tricky subject and one we’re grappling with as well. One in which partnerships between businesses and charities promise good things for both parties.